Cowans Gap State Park is a 1,085-acre park in the beautiful Allens Valley of Fulton County. 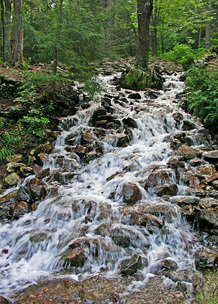 The state forest land surrounding the park furnishes visitors with an abundance of natural beauty during all seasons of the year. 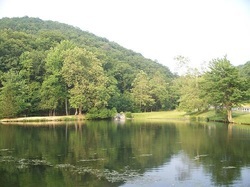 The 42-acre Cowans Gap Lake offers excellent trout fishing plus has bass, perch and panfish. There is an accessible fishing pier. The South Branch of Little Aughwick Creek offers good trout fishing. The 500-foot sand beach is open from late May to mid-September, 8 a.m. to sunset. There are two boat launches and 68 mooring spaces. Cowans Gap has 224 campsites in two areas. Features include: Hiking, picnicking, swimming, boating, fishing, hunting, wildlife watching, cross-country skiing, ice fishing, ice skating, camping, and cabins. The trails pass through forests and historic areas. A brochure on the hiking trails is available at the park office. The Appalachian Trail also passes through the park. The park features a large, ADA accessible swimming pool with a small snack bar. The pool is open 11 a.m. to 7 p.m. from Memorial Day weekend to Labor Day, unless posted other-wise. 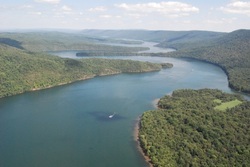 Features Include: Hiking, picnicking, swimming, fishing, hunting, golf, camping, and cabins. The park is a 136 acre farm uniquely situated along the Conococheague Creek and adjacent to Martins Mill Bridge. The park is open from 8:00 a.m. until sunset. There are over 4 miles of walking trails throughout the park as well as play ground equipment and pavilions. 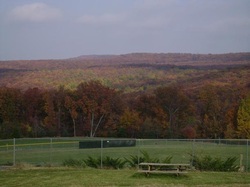 The Antrim Township Community Park has tennis courts, basket ball courts, baseball/softball fields, soccer fields, toddler and age 6-12 playground equipment and the Whispering Falls Disc Golf Course. 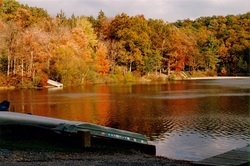 Pine Hill Regional Recreation Area is a 174 acre recreation area with a variety of recreational activities for residents and visitors owned and operated by Washington Township. Located in the southeast corner of Franklin County, the park abuts Red Run Lake & Park, and is just a stone throw away from the Michaux State Forest . The park contains seven hiking/biking trails which total 3.04 miles. From the trails one can overlook large portions of the Township and watch the sunset. Pine Hill offers top of the line picnic facilities with excellent vista views to accommodate those from all walks of life. Three pavilions grace the land-scape, along with a gazebo and 2 mini-pavilions. Restrooms are also available year round for your convenience. A pony league baseball field, softball/little league field and a soccer field are in place for use by local leagues as well as visitors. Other recreational facilities include 2 state of the art play grounds, horseshoe pits and a sand volley ball court. Red Run Park, the oldest park owned by Washington Township, is a 22 acre park. The park consists of a man-made lake, picnic area, play-ground equipment, public restrooms, concession stand, and miniature train. The lake is used for fishing and ice skating and is a very popular spot year round. Dedicated in 1885, the Enoch Brown Park was the site of the Enoch Brown School massacre that took place on July 26, 1764, during the Pontiac Wars. A common grave and monument mark the site of this tragic historical event where eleven school children and their teacher were attacked by Indians. There was only one survivor, a student, Archie McCullough. A pavilion, playground, and walking trail are on the property. Martins Mill Bridge was built in 1849 under the direction of Jacob Shirk. It was constructed in the Town Lattice Truss design. The design was patented by Ithiel Town, a Connecticut architect. It uses no arches or exterior supports and was considered strong enough to support a bridge up to 200 feet in length. It was less costly to build than traditional arch supported bridges. Martins Mill Bridge is a total of 208 feet in length. In 1973 the bridge was rehabilitated after being carried down-stream by flood waters during Hurricane Agnes. Steel bracing was added at a later date to stabilize the bridge. In spite of being altered over the years due to destruction and restoration it remains a good example of this type of covered bridge design and contains approximately two-thirds of its original timbers. It is one of only two covered bridges in Franklin County and it is the largest lattice type bridge in Pennsylvania. It is also on the National Register of Historic Places. The grounds also include a picnic area and access to Antrim Township Community Park. Bring your Youth Group to their Ropes Course, it is a great place to grow closer as a group. They can work on team building and working with others, skills that they can use for the rest of their lives! Also avail-able is a swimming pool, cabins, camping, Frisbee golf, lake, and fishing. 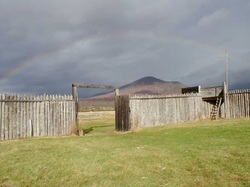 Renfrew is a restored farmstead with many outbuildings to see and activities to participate in. Your tour begins at the Visitors Center with a DVD presentation, and an explanation of the nation’s leading collection of John Bell and Bell family pottery. Paid admission takes you on a guided tour of the 1812 Renfrew Museum where you will see the kitchen, dining room, parlors, and bedrooms with period furnishings throughout. Now, two centuries after Daniel Royer’s day, much of the landscape is uncharged. As an historical institution, Renfrew offers its visitors an intimate view of the past. Visit them in Waynesboro, and discover how the agriculture, industry, and domestic life of nearly 200 years ago worked together to make a prosperous Pennsylvania German farmstead. Park is open dawn to dusk year-round (free of charge). The park features picnic tables, a small playground, and several miles of scenic hiking trails. 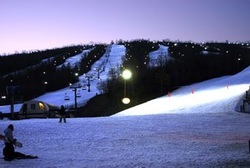 Whitetail Resort has plenty to enjoy all year long. Enjoy a game of golf on the premier championship golf resort in South Central Pennsylvania. Hook a large trout while enrolled in one of Dusty Wissmath's Fly Fishing clinics. Try skiing, snowboarding, and snow tubing. 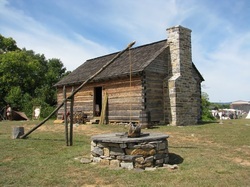 An authentic French and Indian frontier period fort located in a beautiful section of rural Franklin County, Pennsylvania. During the mid-18th century, the wild frontier of the Colony of Pennsylvania could be a dan-gerous place to live. By 1753, the French had build three forts within western Pennsylvania, and had found strong allies among the local indians living there. Numerous attempts made by the Colonial government failed to subdue the French and Indians on the Pennsylvania frontier. By early 1756, the Pennsylvania General Assembly finally decided to take action to defend the settlers, and voted to build a chain of forts along the Blue Mountains from the Delaware River to the Mason & Dixon Line. It is at one of these forts, Fort Loudoun, that the first armed uprising against royal troops took place. 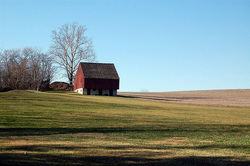 The historic site is situated on 207 acres located at the northwestern corner of Franklin County PA. It sits in the shadows of the Tuscarora, Blue, and Kittatiny Mountains. The Tuscarora Trail was originally created as a new route for the Appalachian Trail. It first departs the Appalachian Trail at the top of Blue Mountain in Deans Gap. It travels along ridge tops, southwesterly, to Maryland, where it connects to the Big Blue Trail before joining the Appalachian Trail again in Shenandoah National Park. The trail is over 250 miles in length, with 110 miles in Pennsylvania. The Tuscarora Trail is marked with rectangular blue blaze marks. Stretching from Pittsburgh to Philadelphia and across 250 years of American history, Pennsylvania's Forbes Trail is your access point to one of the best collections of historic sites, outdoor recreation, travel amenities and family destinations in the nation. In 1758, at the height of the French and Indian War, British General John Forbes, Virginia Colonel George Washington and their troops took on a daunting task: to carve a trail through the Pennsylvania wilderness and take French Fort Duquesne at the Forks of the Ohio River. Victorious, they named the spot Pittsburgh in honor of British statesman William Pitt. Although the British went on to win the war, the conflict sowed the seeds of discontent that led to the American Revolution, and in the end it was ironically the colonists, not Great Britain, who would control North America. Forbes and Washington could not have imagined what the future held for the route they charted in 1758. The Forbes Trail winds its way past many of the most significant chapters in U.S. history- The French and Indian War in Western Pennsylvania and the Susquehanna Valley; The Revolutionary War in Valley Forge; The Declaration of Independence and the Constitution in Philadelphia; Civil War turning point in Gettysburg; gateway to the west in Pittsburgh; Flight 93 National Memorial in the Laurel Highlands. Located primarily in Fayette County, Ohiopyle State Park encompasses about 19,052 acres of rugged natural beauty and serves as the gateway to the Laurel Mountains. The focal point of the area is the more than 14 miles of the Youghiogheny [yaw-ki-GAY-nee] River Gorge that passes through the heart of the park. The "Yough" [yawk] provides some of the best whitewater boating in the Eastern U. S. as well as spectacular scenery. 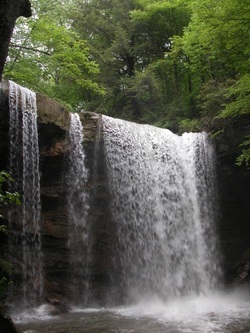 Surrounding Ohiopyle Falls is the Falls Day Use Area, the central point for the casual visitor. This area provides parking, modern rest-rooms, gift shop/snack bar, and overlook platforms with magnificent scenery. 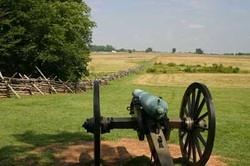 Begin your visit to Gettysburg National Military Park at the Gettysburg Museum and Visitor Center. The 22,000 square-foot museum gallery takes visitors through the Civil War with relics from one of the largest museum collections in America, interactive programs and multi-media presentations. Understand the sacrifice of Gettysburg with the film, "A New Birth of Freedom" and the fury of battle with the Gettysburg Cy-clorama. This is the place to start your visit and get informed on how to tour the battlefield park. Steeped in natural and historical features, the 696-acre Pine Grove Furnace State Park is in a beautiful mountain setting in southern Cumber-land County. 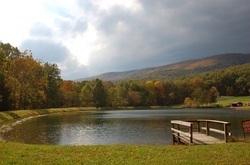 Surrounded by Michaux State Forest, Pine Grove Furnace features two lakes, 25-acre Laurel Lake and 1.7-acre Fuller Lake, a historic area and the Appalachian Trail. Features Include: Hiking, biking, picnicking, swimming, boating, fishing, hunting, cross-country skiing, snowmobiling, ice sports, camping, and cabins. required for entrance to the campus.